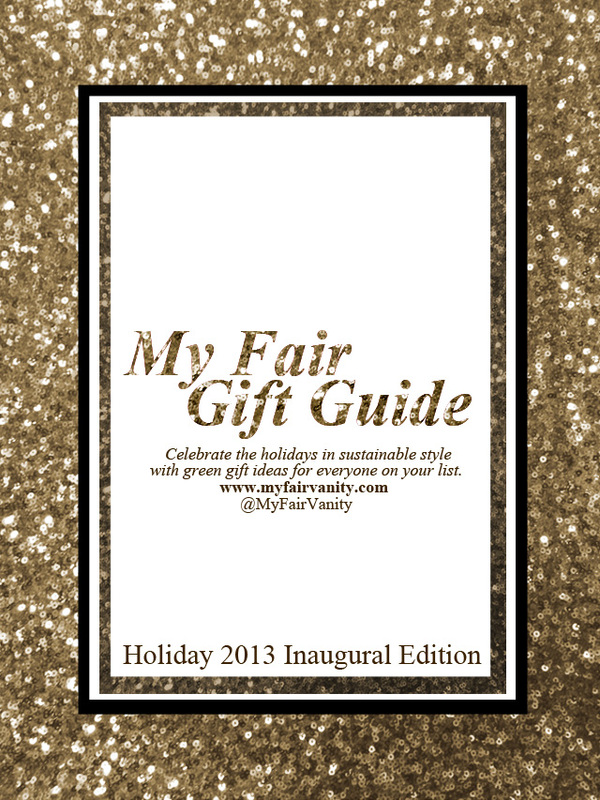 As you mentally prepare yourself for Black Friday and Cyber Monday, I offer you a tasteful and ethical alternative: a catalog chock-full of eco-friendly, made in America, and fair trade gift ideas that will empower and inspire you to make thoughtful gift choices for all of the loved ones on your list. Settle in with a cup of tea or a mug of cocoa and see what you find-- you may discover a few surprises, especially since I've enlisted the help of a few of my favorite green lifestyle bloggers to help me curate the coolest and kindest gifts around! Alden from Ecocult put together a collection of covetable gifts that are 100% made in New York. Dominique from Let's Be Fair has golden, sparkly treasures from afar, and Juliette from spades + siLK will share her uber-cool knowledge of all of the hippest, newest sustainable designers. Yoga teacher and blogger Carissa Ciuca curates for the yogi in your life, and surface designer Aaryn West has enough patterns and colors to keep even the most eclectic person on your list intrigued and impressed with your artsy street savvy. Happy shopping, happy holidays, and happy thanksgiving! It's such a pleasure to write and post about sustainable style for you here on My Fair Vanity each week, and I hope you'll accept this guide as my small way of saying thank you so much for reading. If you find it helpful, I hope you'll choose to share it with friends and loved ones, so that this year, they can join you in giving on-trend, stylish gifts that are kind to the earth and the people on it.